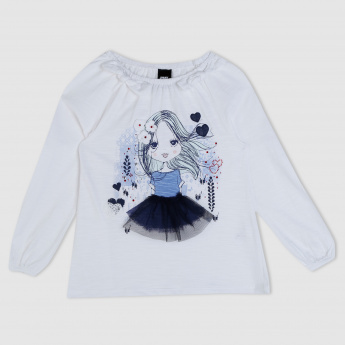 Complete your little one's collection by getting this top. The girl print on the front looks striking and will be loved. 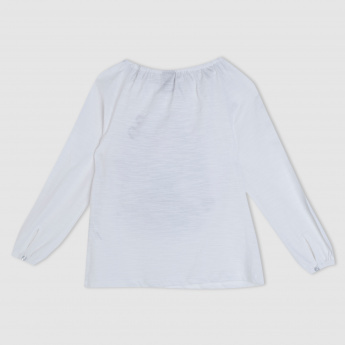 Fabricated from a soft material, it is extremely comfortable to wear for a long day.